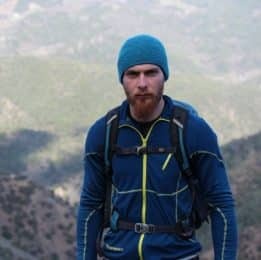 Learn the basics of rock climbing and enjoy visiting a Mediterranean island in this course in Cyprus led by Kyriakos, an IFMGA certified mountain guide. Step into the exciting world of rock climbing with this 6-day course in the island of Cyprus. The Republic of Cyprus is a large island in the Eastern Mediterranean. Boasting beautiful natural landscapes, a fine cuisine and a rich historical and cultural background, it’s a very attractive tourist destination. 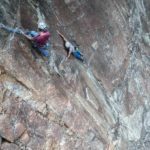 In this 6-day course, you’ll learn the basic techniques of rock climbing and also enjoy some relax and sightseeing time around the country. 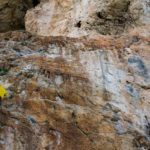 Perhaps you haven’t heard much about rock climbing in Cyprus, but it’s slowly emerging as a popular climbing area. There are many high quality routes offering challenging opportunities for beginners and for more advanced climbers. You can find a wide variety of rock types. It has some of the best weather in Europe and it’s an all-year-round destination. Would you like to join me for a rock climbing course in Cyprus? Please, contact me so we can start planning this trip together! If you already have some experience and you want to improve your skills, you can sign-up for this 7-day rock climbing programme. Cyprus. You can fly into one of the two international airports (Larnaca, Paphos). In different apartments near the climbing spots or in campsites. (I can provide tents and sleeping bags for 5 euros per person per night). Rock Climbing - 6 days - Interm.